This post contains affiliate links. Thanks for supporting Pitter & Glink! Hey, y'all! 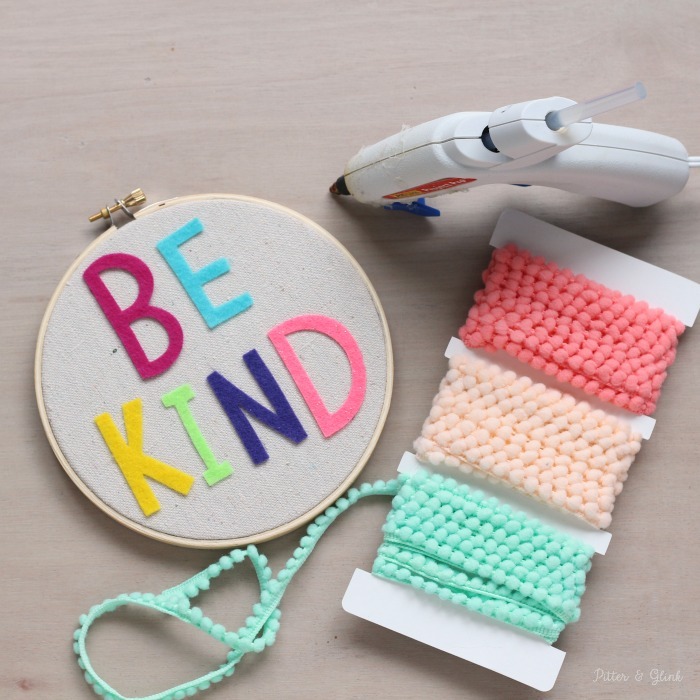 I have a fun project to share with you today that can be made quickly and VERY easily! I don't know about you, but I try to live a life of kindness. Yes, I fail at this often, but it doesn't take that much extra effort to be kind to someone, and your being kind to someone can have a huge impact on the course of that person's day. 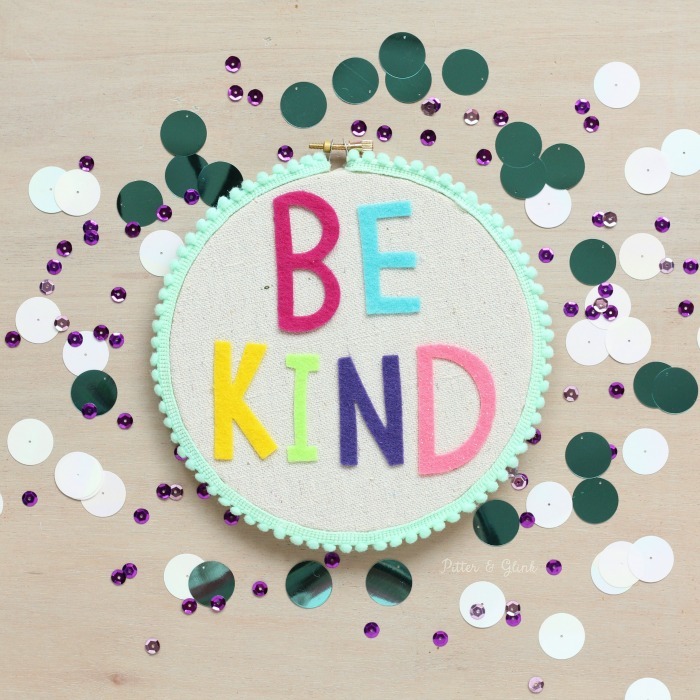 I decided to create a fun piece of embroidery hoop art to remind me (and anyone who sees the art) to be kind! 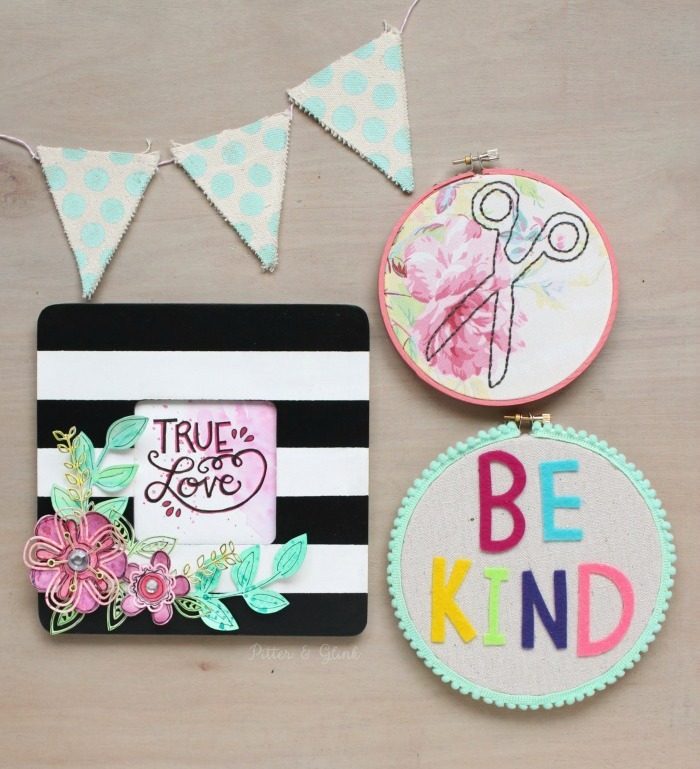 You would be surprised how quickly you can whip up a piece of embroidery hoop art like this, and you only need a few supplies. The first step to creating the art is to cut the felt letters. 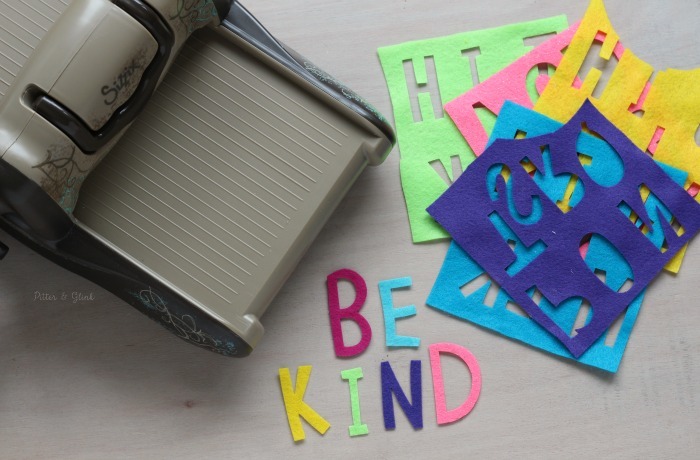 That's so easy to do with the Sizzix BIGkick and Bigz dies. Place a piece of felt cut to size on top of your Bigz die. 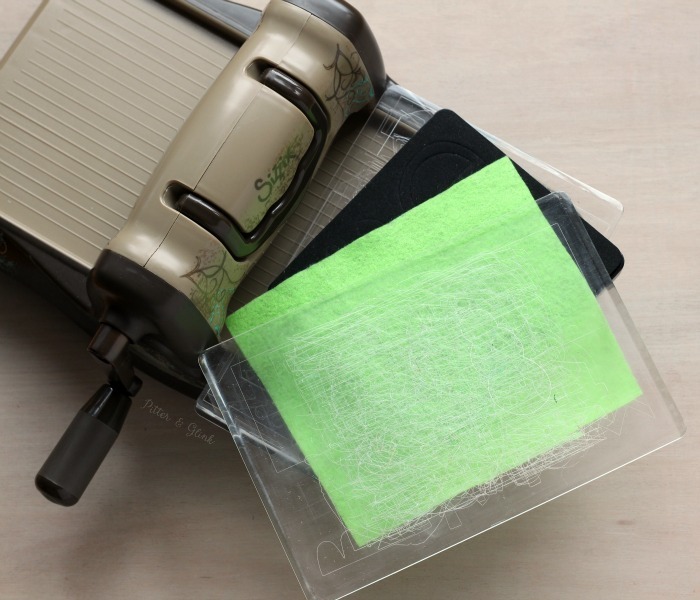 Sandwich that between a pair of Standard Size Cutting Pads and roll it through your Sizzix BIGkick. 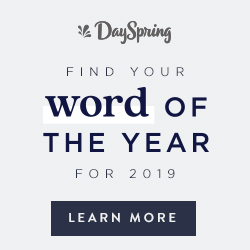 Repeat this as many times as necessary until you get all the letters needed for your phrase. 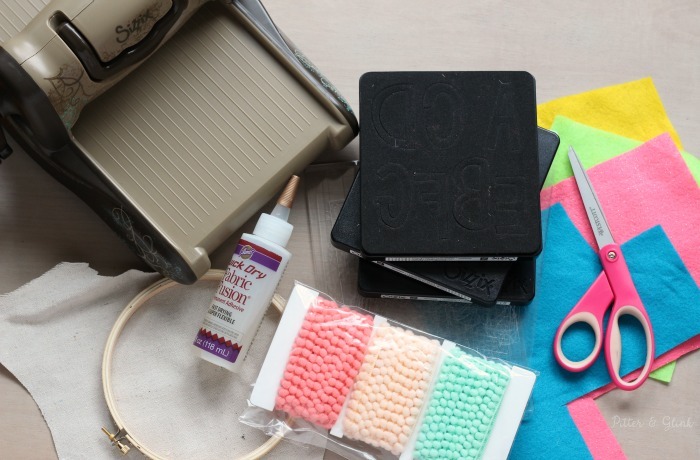 After you place your fabric inside your embroidery hoop and trim off the excess, glue the felt letters and pom pom trim to the fabric using fabric glue and/or hot glue to complete your art. Add the completed hoop to a small grouping of art for a mini-gallery wall or hang it alone for a pop of color. Make the art any size you'd like by using different size embroidery hoops or sew a banner to attach the felt letters to for a whole different look. Whatever type of art you decide to create, you can do it quickly and easily, which is the beauty of this tutorial! 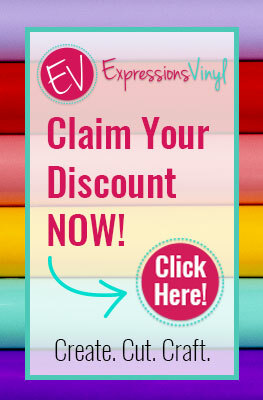 As a member of the Sizzix Design Team, I receive some products free of charge in order to share tutorials and project inspiration with my followers. My designs and opinions are all my own. Hi Bethany, I truly doubt as a generous blogger, teacher, lover of animals, greatest aunt in the world (the list goes on and on), that you would fail all that often to be kind. I know I only know you from our emails and from your your blog, but my sweet friend, your heart and kindness truly shines through. Have a great rest of the week.